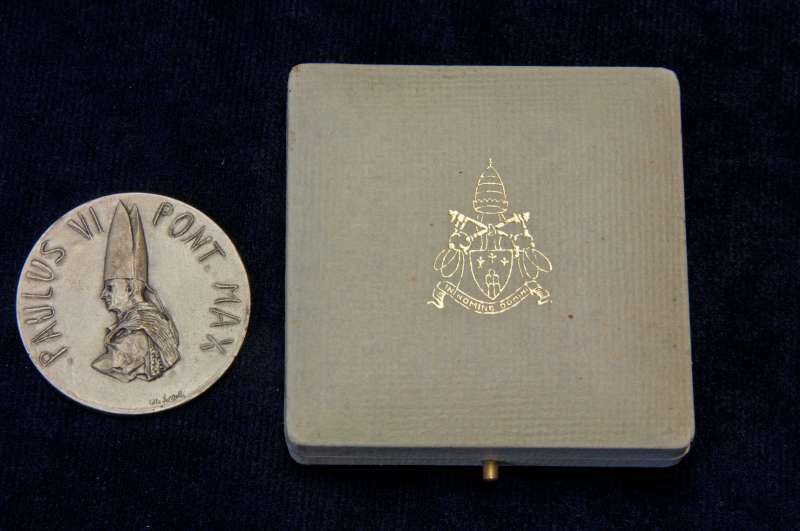 This is a medal from the Holy Year, 1975, during the pontificate of Pope Paul VI. In the Catholic tradition a holy year or Jubilee is a great religious event, a year of reconciliation and forgiveness. It dates to biblical times and was evident even in the Law of Moses where it was celebrated every fifty years. Holy years are marked with much pomp and ceremony by the Vatican. There are specific Holy Doors at each of the four main basilicas, and they are marked by the Holy Year bricks which are ceremoniously removed before the pope can walk through the Holy Door to signify the start of the Holy Year. A Holy Year Brick From 1775 is a very good example of one of the bricks in this Collection.